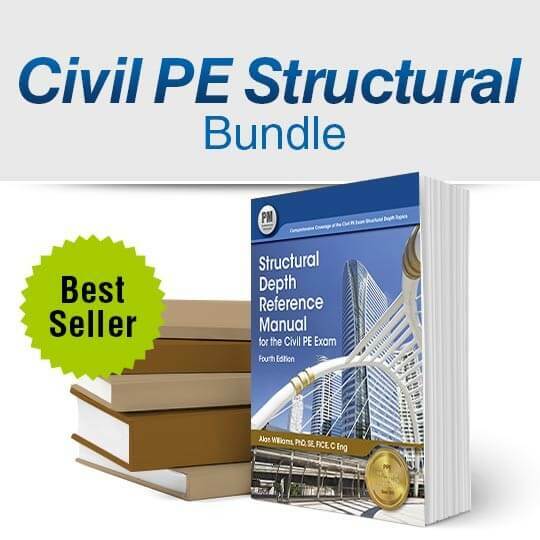 This is Civil PE Structural Bundle (CSP7) that PPI has put together for you. It includes all the books you need for this depth section of your exam. The Structural Depth Reference Manual is specifically built for the Civil PE Structural Depth exam. 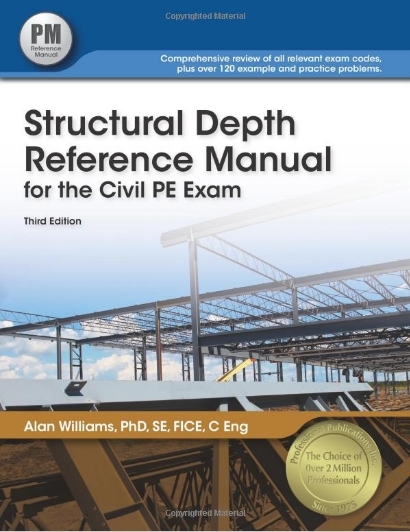 The Structural Depth Reference Manual prepares you for the structural depth section of the Civil PE exam. It provides a concise, yet comprehensive review of the structural depth section exam topics and highlights the most useful equations in the exam-adopted codes and standards. Solving methods—including ASD and LRFD for steel, strength design for concrete, and ASD for timber and masonry—are thoroughly explained. Throughout the book, cross references connect concepts and point you to additional relevant tables, figures, equations, and codes. More than 95 example problems demonstrate the application of concepts and equations. Each chapter includes practice problems so you can solve exam-like problems, and the step-by-step solutions allow you to check your solution approach. A thorough index directs you to the codes and concepts you will need during the exam. PE Civil – Structural Sample Questions and Solutions: This book contains 40 questions from the Civil morning specifications and 40 questions from the Civil Structural afternoon specifications. Solutions are provided. This is developed by the NCEES organization and is the most accurate, life-like exam you can purchase for the structural section. 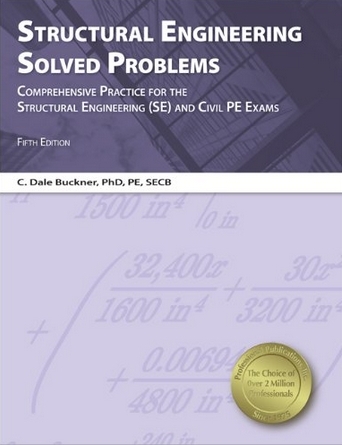 Structural Engineering PE License Review Problems & Solutions (Pe Exam Preparation): Structural Engineering: PE License Review Problems & Solutions, 6th Edition is a comprehensive guide and reference emphasizes analytical and design methods in structural engineering that lead to the quickest and simplest solution of any particular problem. After a review of general structural and seismic design principles, chapters are dedicated to specific structural materials: steel, concrete, timber and masonry. 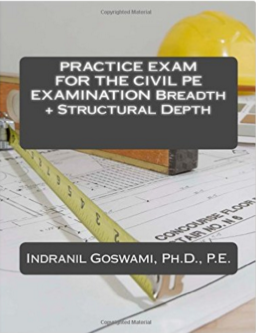 The Practice Exam for the Civil PE Examination Breadth Plus Structural Depth is another structural depth exam avalable to you. This includes 40 breadth and 40 depth questions and it’s relatively cheap. Dr. Goswami has written quite a few books and this is the latest in his collection. If this is anything like his breadth books then the problems are rated easier in difficulty but more like the actual exam. For the price you can’t go wrong getting this to get more practice in. It has been updated to meet the new specifications as well. Good practice here. Structural Engineering Solved Problems: Structural Engineering Solved Problems contains 100 practice problems designed to help you recognize critical concepts and apply your knowledge of structural engineering topics. Practice problems are organized by level of difficulty within each chapter. Use the qualitative short-answer practice problems that begin each chapter to assess your comprehension of fundamental structural engineering concepts. Then, solve the increasingly complex design and analysis problems to challenge your skill in identifying and applying related codes and equations. After solving each practice problem, you can refer to the corresponding solution. Each explanation demonstrates the steps needed to reach the correct solution. Alternative solution methods are presented where appropriate. Relevant codes and standards are referenced so you can easily see where to find the required information. 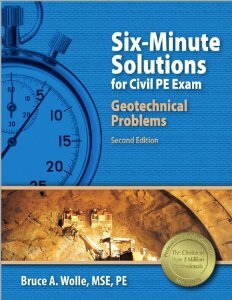 Six-Minute Solutions for Civil PE Exam Structural Problems: New Edition. With an average of six minutes to solve each problem on the Civil PE exam, efficiency is vital to your success. 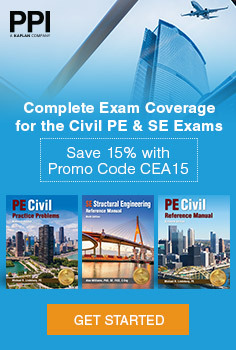 Six-Minute Solutions for Civil PE Exam Structural Problems will help you quickly identify accurate solution procedures, effectively use exam-adopted codes and standards, and increase your problem-solving speed. 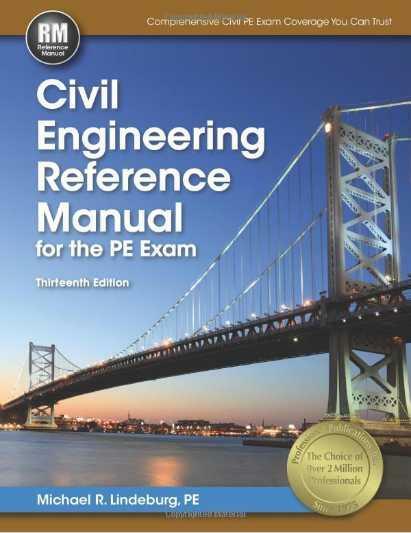 Structural Depth Reference Manual for the Civil PE Exam: The Structural Depth Reference Manual for the Civil PE Exam provides a comprehensive review of the relevant codes covered on the structural depth section of the Civil PE exam. Understanding these codes is your key to success on this exam. A total of 130 example and practice problems, with complete step-by-step solutions, demonstrate how to use specific code equations, constants, and variables to determine whether structures meet code requirements. Each problem focuses on a specific code issue and provides a clear explanation of the code. Dozens of detailed graphics enhance your comprehension of the applicable codes. 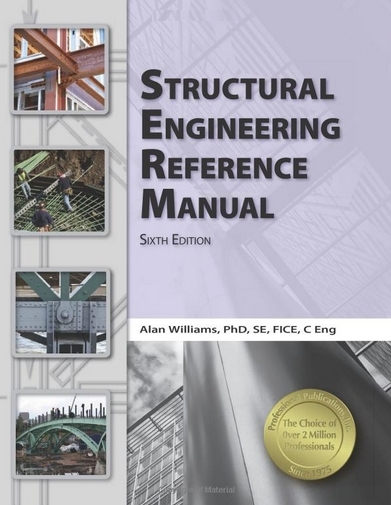 Structural Engineering Reference Manual: The Structural Engineering Reference Manual is the most comprehensive reference and study guide available for engineers preparing for the NCEES 16-hour Structural Engineering (SE) exam. It provides a comprehensive review of structural analysis and design methods related to vertical and lateral forces, illustrates the most useful equations in the exam-adopted codes and standards, and provides guidelines for selecting and applying these equations. 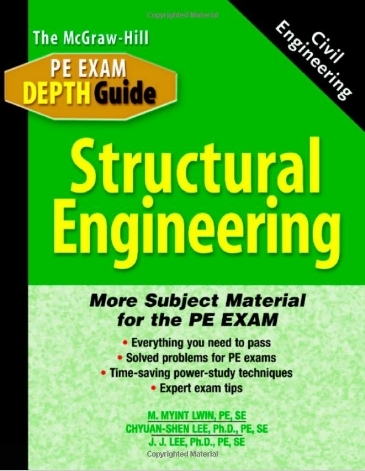 Structural Engineering: Designed to complement the McGraw-Hill Civil Engineering PE Exam Guide: Breadth and Depth, this subject specific “depth” guide provides comprehensive coverage of the subject matter applicants will face in the afternoon portion of the PE exam. Each book, authored by an expert in the field, will feature example problems from previous exams along with power study techniques for peak performance. 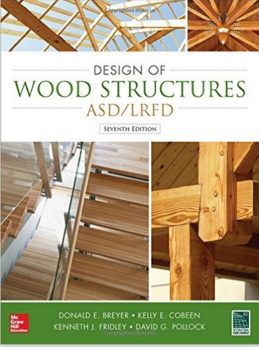 Design of Wood Structures-ASD/LRFD: Continued the sterling standard set by earlier editions, this indispensable reference leads you through the complete design of a wood structure (except for the foundation), following the same sequence used in the actual design/construction process. This has been newly updated as of 2014 and the link will take you to that edition. 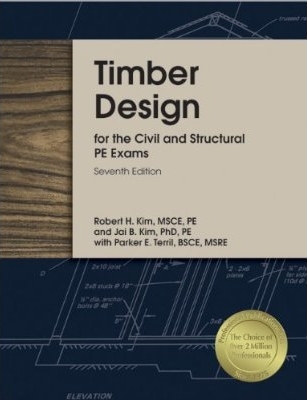 Timber Design for the Civil and Structural PE Exams: Timber Design for the Civil and Structural PE Exams is a comprehensive study guide that uses the inductive teaching method to help readers apply the ASD/LRFD national Design Specifications to realistic problem scenarios, and understand the design theories the solving methods are based on. Design examples and scenario-based practice problems will help you apply what you learn, whether you are preparing for the Civil PE or Structural Engineering (SE) exams, are a student in a timber design course, or are a practicing engineer. 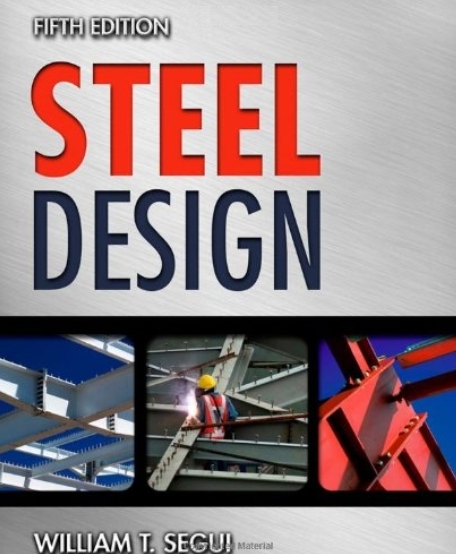 Steel Design: STEEL DESIGN covers the fundamentals of structural steel design with an emphasis on the design of members and their connections, rather than the integrated design of buildings. The book is designed so that instructors can easily teach LRFD, ASD, or both, time-permitting. The application of fundamental principles is encouraged for design procedures as well as for practical design, but a theoretical approach is also provided to enhance student development. 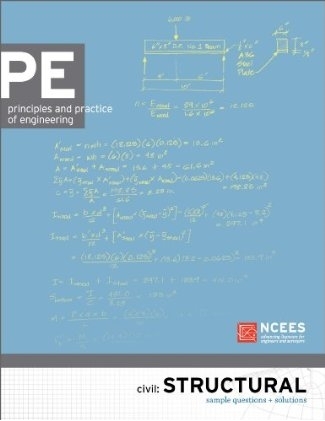 While the book is intended for junior-and senior-level engineering students, some of the later chapters can be used in graduate courses and practicing engineers will find this text to be an essential reference tool for reviewing current practices. 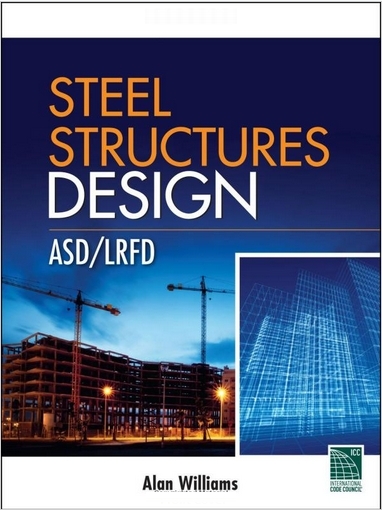 Steel Structures Design: ASD/LRFD: Steel Structures Design: ASD/LRFD introduces the theoretical background and fundamental basis of steel design and covers the detailed design of members and their connections. 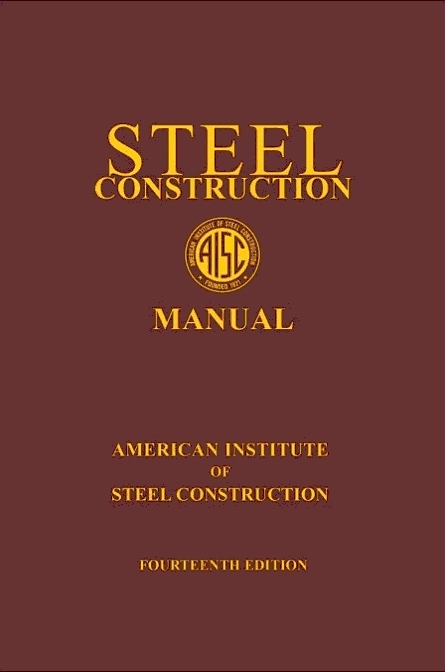 This in-depth resource provides clear interpretations of the American Institute of Steel Construction (AISC) Specification for Structural Steel Buildings, 2010 edition, the American Society of Civil Engineers (ASCE) Minimum Design Loads for Buildings and Other Structures, 2010 edition, and the International Code Council (ICC) International Building Code, 2012 edition. The code requirements are illustrated with 170 design examples, including concise, step-by-step solutions. Steel Construction Manual: This Manual is the fourteenth major update of the AISC Steel Construction Manual, which was first published in 1927. 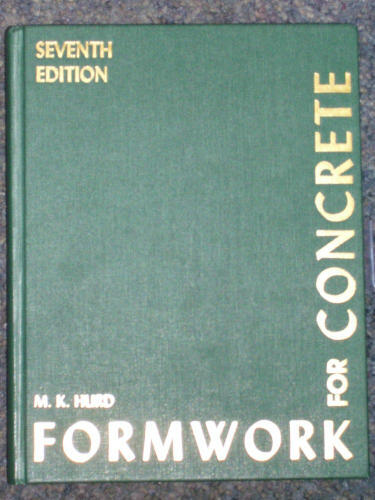 Replacing the 13th Edition Manual, the 14th Edition Manual contains several updates and revisions, including the new HP18 and HP16 series, updated connection tables based on increased bolt shear strength values, revised single-plate and extended single-plate connection design procedures, enhanced prying action procedure, and a revised bracket plate design procedure. This is a must have for structural depth and even breadth questions. You have to have this for you structural test. This is the bible when it comes to that. If you don’t have a copy or an older version to use then get this. 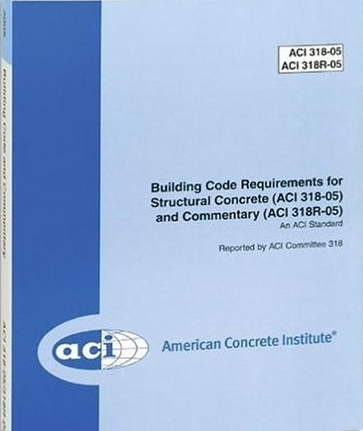 Building Code Requirements for Structural Concrete (ACI 318-11) and Commentary (ACI 318R-11): The code portion of this document covers the design and construction of structural concrete used in buildings and where applicable in nonbuilding structures. Among the subjects covered are: drawings and specifications; inspection; materials; durability requirements; concrete quality, mixing and placing; formwork; embedded pipes; construction joints; reinforcement details; analysis and design; strength and serviceability; flexural and axial loads; shear and torsion; development and splices of reinforcement; slab systems; walls; footings; precast concrete; composite flexural members; prestressed concrete; shells and folded plate members; strength evaluation of existing structures; special provisions for seismic design; structural plain concrete; strut-and-tie modeling in Appendix A; alternative design provisions in Appendix B; alternative load and strength-reduction factors in Appendix C; and anchoring to concrete in Appendix D.
Reinforced Concrete: Mechanics and Design (6th Edition): Reinforced Concrete: Mechanics and Design, 6/e is a perfect text for professionals in the field who need a comprehensive reference on concrete structures and the design of reinforced concrete. Reinforced concrete design encompasses both the art and science of engineering. This book presents the theory of reinforced concrete as a direct application of the laws of statics and mechanics of materials. In addition, it emphasizes that a successful design not only satisfies design rules, but also is capable of being built in a timely fashion and for a reasonable cost. A multi-tiered approach makes Reinforced Concrete: Mechanics and Design an outstanding textbook for a variety of university courses on reinforced concrete design. Topics are normally introduced at a fundamental level, and then move to higher levels where prior educational experience and the development of engineering judgment will be required. Formwork for Concrete 7th edition: This document serves a broad range of information needs with the objective of improving quality, safety, and economy in all types of formwork. For the experienced designer or builder of formwork, it is a ready reference on material properties, design data, and construction suggestions. For the architect or engineer, it adds guidance relating to structural design details and the problems and possibilities of executing them in formwork. For the novice, the book explains basic design principles and provides an introduction to many common formwork practices. 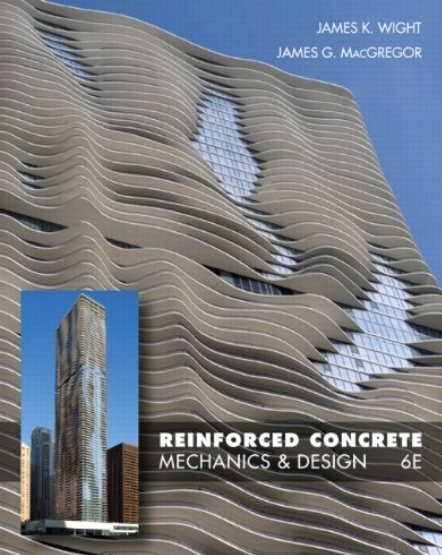 This edition includes new material on single-sided wall forms, insulating concrete forms, pressure formulas with coefficients for differing weights and mix chemistries, inflated forming methods, and expanded text on multistory shoring systems. 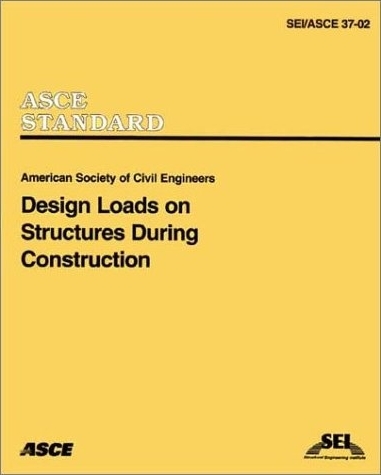 Design Loads on Structures During Construction (SEI/ASCE 37-02): This Standard provides minimum design load requirements during construction for buildings and other structures. It addresses partially completed structures and temporary structures used during construction. The loads specified are suitable for use either with strength design (such as USD and LRFD) or with allowable stress design (ASD) criteria. The loads are equally applicable to all conventional construction methods. 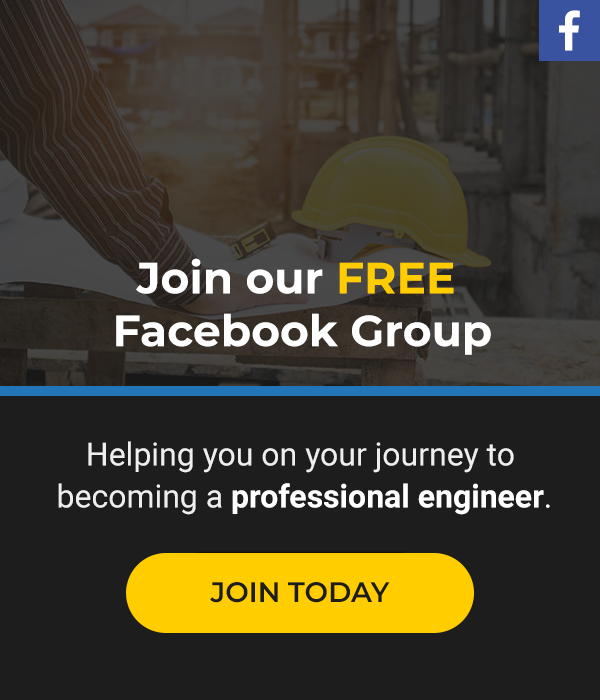 Topics include loads and load combinations, dead and live loads, construction loads, lateral earth pressures, environmental loads, and performance and safety criteria. The basis of loads are probabilistic analysis, observation of construction practices, and expert opinions. Maximum, as well as arbitrary point-in-time values of loads are given. 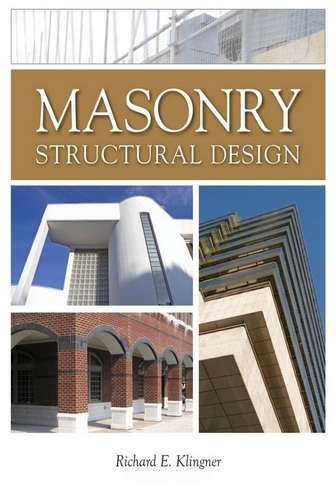 Masonry Structural Design: Written by the former chair of the Masonry Standards Joint Committee (MSJC), this authoritative volume covers the design of masonry structures using the 2009 International Building Code and the 2008 MSJC Code and Specification. Masonry Structural Design emphasizes the strength design of masonry and includes allowable-stress provisions. Innovations such as autoclaved aerated concrete masonry (AAC) are also discussed. Real-world case studies featuring a low-rise building with reinforced concrete masonry and a four-story building with clay masonry illustrate the techniques presented in this comprehensive resource. 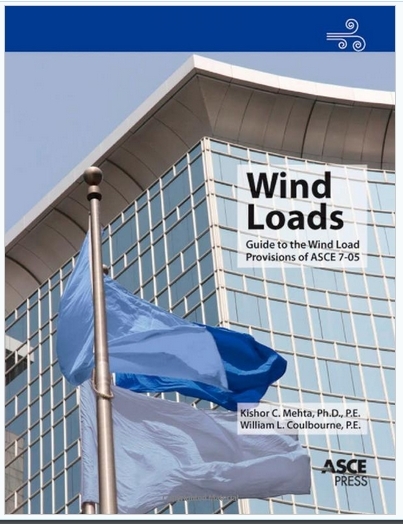 Wind Loads: Guide to the Wind Load Provisions of ASCE 7-05: Wind Loads: Guide to the Use of the Wind Load Provisions of ASCE 7-05 focuses on the wind load provisions as they affect the planning, design, and construction of buildings for residential and commercial purposes. This revised and updated guide provides users with an overview of the provisions and a detailed explanation of recommended design procedures. Users of this guide will benefit from the 13 worked examples and more than 30 frequently asked questions, grouped by topic. Wind Loads also addresses new provisions introduced in ASCE 7-05. This book is an essential reference for practicing structural engineers who design buildings and structures, as it offers the most authoritative and in-depth interpretation of the wind loads section of ASCE Standard 7-05. Snow Loads: A Guide to the Snow Load Provisions of Asce 7-05: Snow Loads: Guide to the Snow Load Provisions of ASCE 7-05 provides a detailed authoritative interpretation of the snow load provisions of ASCE/SEI Standard 7-05. The new Snow Loads is a revision of the previous edition that served as a guide to ASCE/SEI Standard 7-02. Like its predecessor, the new Snow Loads includes examples of flat roof loads, sloped roof loads, partials loads, and all types of conventional drift loading. New material includes a chapter of three complete design examples: a metal building with a roof step, a pole barn with a hip roof, and a single-family residence with attached, two-car garage. Also included are recent changes to the provisions for unbalanced loads and rain-on-snow surcharge loads. Several example problems have been updated and two fresh examples added. The revised and expanded Frequently Asked Questions chapter addresses common snow loading cases not explicitly covered in ASCE/SEI Standard 7-05. 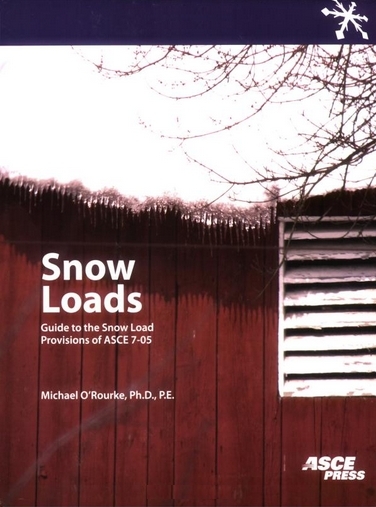 The new Snow Loads is the only book devoted to the illustration, interpretation, and application of the snow load provisions of ASCE/SEI Standard 7-05. 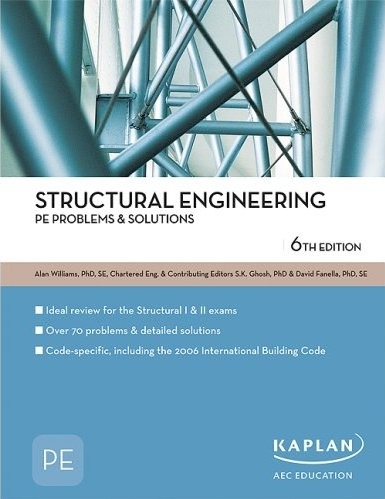 An essential reference for practicing structural engineers. Here’s the OSHA CFR 29. This is all your safety material that could be asked. I have found that the CERM typically can handle the 1 or 2 questions that they ask but you never know. This will make sure you are covered with anything they could ever throw at you. 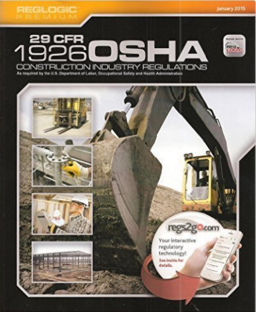 Here’s their official description of the book: Make compliance with dense government safety regulations simple with MANCOMM’s 29 CFR 1926 OSHA Construction Industry Regulations. Updated through January 2015, the book provides you with a comprehensive set of the most up-to-date General Industry regulations. Utilizing MANCOMM’s signature formatting approach – RegLogic® – this edition includes notations for changes within the past year and letters of reference. 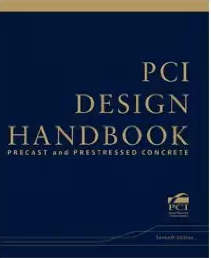 The PCI Design Handbook is your handbook for prestressed concrete design. This is the standard called out to use per the NCEES specification. If you are need of it then here it is for you. Check it out.